Obituary for Solomon M. Francis | Spitler Funeral Home, Inc.
Solomon M. Francis, 55, of Loyalsock Township, died Oct. 14, 2018 at Lehigh Valley Medical Center. He was born June 10, 1963, in India, a son of Dhanasingh and Padmini (Ebenezer) Francis. 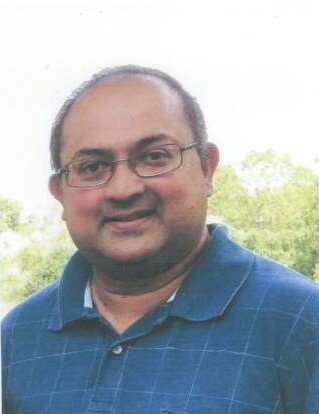 Solomon was a mathematics professor at Penn College, taught online classes for Liberty University, and for the overseas division at the University of Maryland. He was a member of Hope Community Church, and the Williamsport Chess Club. He was a national master in chess and taught chess to children at James V. Brown Library. Preceding him in death was his mother. Surviving are his father, of Williamsport; wife of 19 years, the former Sherry L. Jones; a son, Samuel C. Francis, at home; a daughter, Lily F. Francis, at home, and two sisters, Christina (Paul) Lindo, of Long Island, NY and Merina (Steve) Schweiger, of Westfield, NJ. A funeral service will be held 2p.m., Thursday, Oct. 18, at Spitler Funeral Home, 733 Broad St., Montoursville, with Pastor Joel W. Long officiating. Burial will follow in Montoursville Cemetery. A viewing for family and friends will be from 1-2 p.m. Thursday, at the funeral home. In lieu of flowers, contributions may be made to Hope Community Church (Missions), 1300 Tinsman Ave., Williamsport, PA 17701.